Good Chance Theatre, which set up a performance space in the Calais migrant camp, has opened a new theatre in Paris. A team of 200 people, many of whom were refugees, erected the dome-shaped temporary theatre in the French capital’s Porte d’Aubervilliers neighbourhood. 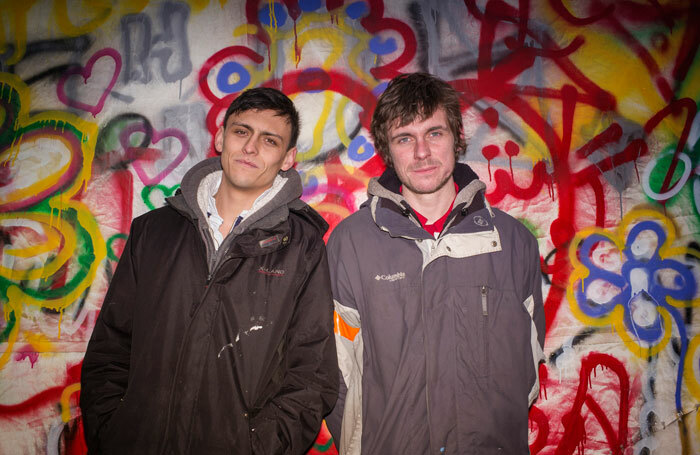 Good Chance’s founders, British playwrights Joe Robertson and Joe Murphy, told The Stage they wanted to provide a safe space for refugees living on the streets of Paris, and believe art can help people “see things differently”. The dome is already being used for classes, such as carpentry, and will have an artistic programme running from Tuesday to Saturday each week. French and international artists will collaborate with refugees in workshops to create performances, which will be shared on Saturday nights during ‘hope shows’. After a month in this location, working in partnership with production company Collectif MU, the Good Chance dome will then travel to the gardens of Theatre de la Ville for the duration of the Chantiers d’Europe Festival as an exhibition of art, discussion and performance. The theatre will then continue to migrate across Paris. Murphy said: “We have met many people living on the streets, many of whom were in Calais. We are not looking to say we have any sort of answer, but we are saying we can work together and hopefully find one. Robertson added: “I don’t think as artists in the current situation we have any choice other than to go to places and try and understand. “There are two main things we hope for with this project, which are for people to leave the theatre feeling a little bit better and different, and to open people’s eyes to something they might not be aware about. Good Chance established its first temporary theatre space  in the middle of the refugee and migrant camp in Calais, known as the Jungle, in September 2015. The theatre’s name came from a popular phrase used by the camp’s residents – ‘good chance’ or ‘no chance’ – which referred to the perceived likelihood of crossing the border that night.